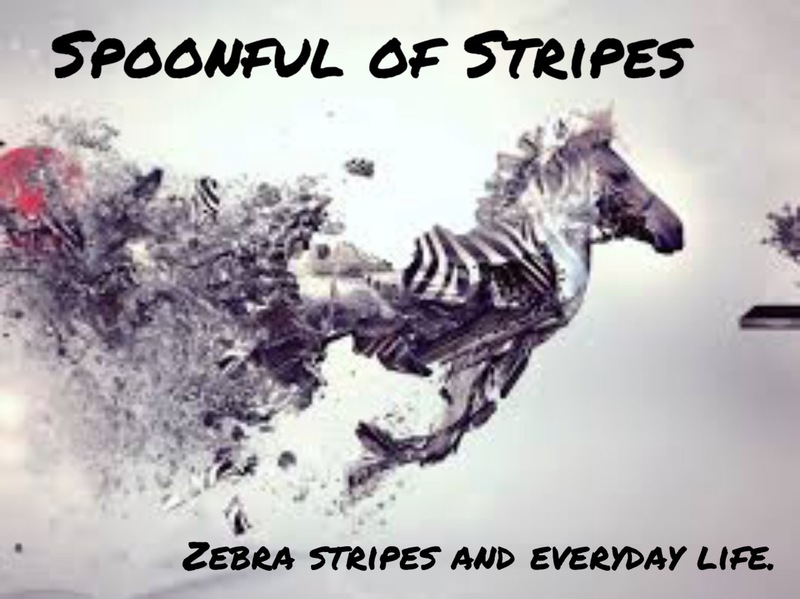 Zebra stripes and every day life. Ten years ago, I stood up at the front of a church, in a beautiful dress, across from a handsome man in his military dress uniform and said, “I do.” I was a 21 year old kid who knew nothing about finances, marriage, or reality. But still, his steady hand convinced me that we would, somehow, be okay as we walked through this crazy life…together. I grew up a child of divorce (I say this as just a simple statement of fact, not to insult or disrespect my mom), so I did not know what it looked like to be a wife. I never had a solid example of what married people did or how they interacted with one another. My husband’s parents are still married and have been (I think) for about 35 years. He’s seen married people fight and reconcile. He’s seen his dad care for his mom through health crises with love and grace. He’s watched their marriage unfold over the years and he learned how to be a husband. We didn’t have a long engagement and, in fact, I was pregnant with our oldest daughter at our wedding. I was a 21 year old college student and Coast Guard reservist and he was a 22 year Private in the Army. Statistically speaking, we should’ve been divorced within the first two years. But somehow, we survived those years. But during that time, I was “healthy”-ish. I hadn’t yet been diagnosed with Ehlers-Danlos. I had random injuries and miscellaneous illnesses and a couple hospitalizations; but overall, I considered myself to be in good health. I received the EDS diagnosis is 2014. All the random injuries, miscellaneous illnesses, and constantly increasing pain I’d had throughout my entire life finally made sense. I went home and told my husband. I pulled up the educational material on EDS. And as he always has been (maybe a result of being in the Army or maybe just because of his personality), he had very little emotional reaction (which, if I’m totally honest, is one of the biggest things that has always driven me crazy about him). While I was a basket case of emotion and uncertainty, he was calm and unmoved. He wrapped me in his arms, told me to take a deep breath, and reminded me that we were in this together. The next few years were a whirlwind of doctor’s appointments, injuries, surgeries, and hospitalizations. It was as if one issue sparked another, which caused something else, and so on and so forth… It was never ending. Some of those medical incidents were emergent and/or life-threatening, while others were more routine. But the one thing that has never changed, through everything, was the constant support of the man who promised to stand by side through sickness and health. Now, here we are in 2019. In the last two months I have been admitted to the Neuro ICU twice. I have a much longer list of medical issues now and nearly all of them can be traced back to EDS as the initiating catalyst. In the last two months, there have been several times where the pain was so intense and so severe that I wondered if I was actually going to die this time. Would my husband become a widower and be left alone to raise our children? Would my children’s last memories be of me in a hospital bed? I’ve cried a lot of tears over the last couple of months, but one thing has not changed…the stoic man next to me, holding my hand. Ten years ago, his lack of emotion drove me crazy. Why couldn’t he just give me some indication of how he felt? But today, I’ve come to realize that, that lack of emotion is what balances out my excess of emotion. As I shake with an overwhelming amount of emotions that I don’t know how to deal with in my malfunctioning brain, his steady arms around me are a reminder that we will get through this one too. My husband’s love language is “acts of service.” He’s a doer. He does laundry and dishes. He keeps our vehicles running with as needed maintenance and preventative maintenance. He bathes the dogs and vacuums the floors. Ten years ago, when we said “I do”, I loved this man with all my heart. I loved this man as much as I was capable of loving him at that time. But in retrospect, I loved him for shallow reasons. Today, I love him differently. I love him more deeply. I love him more purposefully. I love him for his steadiness. I love him for his persistence. I love him for the way he loves so fiercely and without condition. I love him for the way he is protective of me (both physically and emotionally). I love him for the way he loves our children. But not only do I love him for all these reasons, I respect him. I respect him for all of this and so much more. He’s not a perfect man, but he’s perfectly imperfect for me. Ten years ago we were 21 and 22 year old kids who thought we knew everything. Turns out, we knew very little about the real world. And ten years from now, we’ll probably look back and realize that we still don’t know as much about the real world now as we’ll know by then. This life may be crazy and overwhelming at times, but I couldn’t be more thankful for the man that God gave me to do life with.